Rester ici pour le plaisir ANNÉE familiale RONDE! 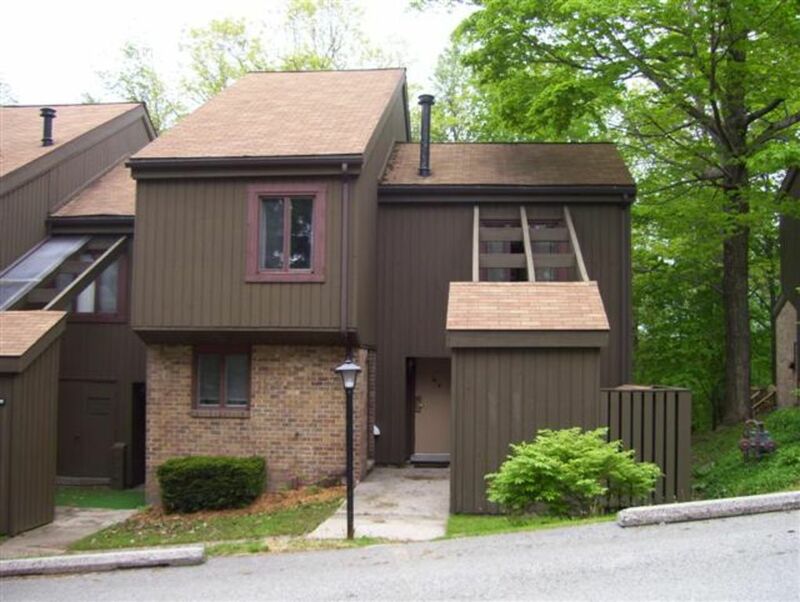 Ce est une famille sympathique, 4 chambres plus loft maison de ville sur la montagne Seven Springs golf 18 trous et à quelques minutes de la station Seven Springs. Chambre familiale spacieuse, grande terrasse privée, salle à manger, cuisine entièrement équipée avec de nombreux sièges pour les grandes familles. Deux salles de bains et deux salles de bains et demi avec des draps et serviettes fournis. Chambre des maîtres avec lit queen size et salle de bain privée et d'autres chambres et mezzanine avec lits simples ou pleine taille. Parfait pour une escapade d'hiver ainsi que les vacances d'été. En été, une piscine extérieure est disponible dans la communauté Villas Montagne. Service de navette de 24 heures de déposer et de pistes de ski inclus au long de l'année. Raffinée et décontractée restaurants, divertissements et shopping au lodge. Great stay. Very homey. We had plenty of space for 7 adults and 4 children. The girls especially loved the loft as their “own space”. Shuttle stops right outside the door. Owner is great about responding to any inquiries and very friendly. We had a great family weekend. We are so glad to hear that you all enjoyed yourselves in our home! We agree that the shuttle is a great service and really convenient for all of the families that stay at our rental. We hope you will consider staying at our home again! We came for a ski weekend and enjoyed the property and resort. The house has a lot of bedrooms - perfect for a large group and comfy living/dining areas. Thank you so much for choosing to stay with us! We are glad to hear that our home was spacious and comfortable for all of you. We look forward to hosting your family again in the future! The property was very comfortable, easily accommodating 8 adults. It was clean & laid out well. Because of the great lay-out, 8 of us had plenty of room to move around and ample options for sleeping and bathroom use. The great room is huge with plenty of seating for 10+. The owner is very friendly and helpful and answered all of our inquiries in a timely manner. The property is located right on the shuttle bus route-it's a 7 minute ride to the slopes. All the appliances worked--we did laundry and saved money by cooking in. We would absolutely stay there again--an extra bonus was that it was priced much less than other, possibly fancier places. But this property feels like home. The place was great and fit all of us perfectly! Only thing that could've made it better is if there was a more detailed list of what would be supplied. I always bring some extra TP but we did have to go out and get more cause there was none at the place. There also weren't any trash bags. Getting that stuff wasn't a problem, I just wish I would known beforehand. Other than that though everything was great and we would definitely stay again! We are so glad to hear that you had a wonderful time and that our home was able to accommodate everyone in your group perfectly! Please accept our sincere apologies for the lack of paper products - we usually have ample supplies, but clearly there was an oversight on our part. We will make certain that everything is restocked immediately. We hope to hear from you again in the future! Plenty of room for everyone, the home had everything we needed. Super close to the resort, for easy access. The kids enjoyed the on-site pool. We love Seven Springs! We are so happy you enjoyed your stay! We look forward to hosting you again in the future! Trillium Spa est disponible toute l'année. Un peu plus d'une heure de route de Pittsburgh - idéal pour une excursion d'une journée pour un jeu, shopping, musées, gastronomie, etc. $600 refundable security deposit during holiday period. Taxes, cleaning and linens included in the price for any time.